iPhone XS NEWS: One year after Apple's 10th anniversary of iPhone, all iFans are expecting Apple to reveal three new iPhones, especially the iPhone XS and XS Max. Whether iPhone XS is strong enough to triumph over its rivals like Samsung Galaxy Note 9? Let's first take an overall look at the iPhone XS's advantages & disadvantages firstly. 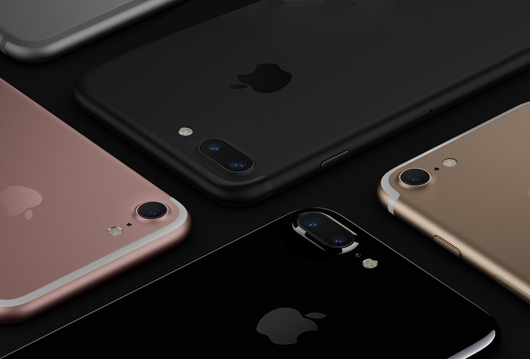 iPhone 7 REVIEW/NEWS: After months of rumors about Apple's 3-year major iPhone cycle, Apple finally launched and released its new-generation iPhone - iPhone 7 and iPhone 7 Plus. Details of iPhone 7 release date, new features, price and specs trickle out after its releasing on September 7, 2016. And months later in March, 2017, Apple launched another red special edition iPhone 7/Plus to brighten users eyes. This page includes all iPhone 7 information you should know: iPhone 7 reviews, iPhone 7 video/music playback issues, iPhone 7 jailbreak solutions, and above all, comparisons among iPhone 7 and iPhones and mobiles with Android, Windows OS, etc. iPhone 7 vs Galaxy S8, which one is better? How does Google Pixel compare to iPhone 7? Should I purchase iPhone SE or the bigger iPhone 7? Should you upgrade your older iPhone to iPhone 7? Any suggestion on getting iPhone 7 or Samsung S7/Note 6? How about iPhone 7 vs flagships from HTC/Sony/LG? Should you go iPhone 7 or Windows Surface Phone? According to iPhone 7 news, Apple released a standard model and a Plus version just as the rumors said, with 4.7" and 5.5" respectively. iPhone 7/Plus come with fire-new designs, featuring OLED screens, liquid metal, pressure-sensitive Home button, and ditching headphone jack to get a thinner body with longer battery life. Two new black color options are provided to make iPhone 7 quite cool. Plus, the dual-lens camera on iPhone 7 Plus makes mobile photography much amazing. In addition to changes in appearance, iPhone 7 also get enhanced on OS, RAM, CPU, storage and more. It is rumored to ship with iOS 10, A10 chip, 3GB RAM, and minimum 32GB internal memory. • Two-way transfer photos, hot movie videos, music files， e-books between iPhone (XS) and computer. • Free make iPhone ringtone, mount iPhone as USB. • Also supports any iPad/iPod iOS based devices. • Fast download SD, HD and 4K videos from YouTube, Vevo, Soundcloud and other 300+ sites. • Convert videos to MP4, MOV for iPhone 8/X/XS. • 100% FREE and clean online video downloader. Apple packs more features into iPhone 7/Plus this year. Compared with previous iPhone models, what are the specific improvements of iPhone 7? Due to the decline of iPhone's sale and Apple's mobile market share, to the iPhone 7/Plus, hot Samsung Android phones and forthcoming Windows 10 mobiles are big rivals. Facing the battle of iPhone 7 vs. iPhone 6S/SE and iPhone 7 vs. Galaxy S8/Note 7, Surface Phone, etc, which one do you think will win? We here will do detailed iPhone 7 comparisons. Galaxy Note 7, the latest Samsung mobile phone which was announced on Aug.2 and released on Aug.19, a litter bit earlier than the Apple Special Event. That makes Note 7 the biggest rival of iPhone 7. Unfortunately, Samsung recalled it due to reports of exploding batteries on Sep. 2, so we won't compare them in details for Note 7 has already been a loser. As the hottest gadgets in the second half of 2016 and the first half of 2017, both iPhone 7 and Galaxy S8 show awesome performances over other brandsare quite. S8 delivers greater improvements than S7, but can it exceed iPhone 7? Let's find out the answer from this Apple iPhone 7 vs Samsung Galaxy S8 checklist. iPhone 7/Plus does abolish the 3.5mm headphone jack and becomes slimmer, Waterproof capability is here and iPhone 7 Plus with dual-lens camera makes it more attractive for photographers. How these two new flagships differ from each other? Take a detailed look at the iPhone 7 vs iPhone 7 Plus. Compared with iPhone SE, iPhone 7 comes up with more powerful and faster iOS 10 and a new processor A10 chip exceeded 2GHz, which can undoubtedly make iPhone 7 faster & better than iPhone SE. Find more detailed side-by-side comparisons of iPhone 7 vs iPhone SE. iPhone 7 has been released and it doesn't go back to a 4-inch or even plastic phone, on the contrary bringing more dazzling features, upgraded experience and performance than iPhone 6. Method 1. Play DVD Movies on iPhone 7 DVD empowers us to enjoy any favorite movie via a DVD player even though we missed in theater. But the inconvenience emerges that a DVD cannot be played on portable devices due to format issue and the lack of hard drive. If you would like to watch DVD movie on iPhone 7, it is suggested to make use of DVD ripping software to convert DVD to iPhone 7 supported formats for a flexible movie enjoyment. Method 2. Play Digital Movie Files on iPhone 7 Movies in digital gradually dominate the market. A large number of movie files with high qualities (1080P HD, 2160P 4K) are exhibited on video streaming sites like Netflix, Amazon, while free movie downloads from torrent sites and free movie sites become ease to get. The digital movie files are varied in formats (MP4, MKV, AVI etc.) and some fail to play on iPhone 7 because of incompatibility problem. How to make any movie digital file on iPhone 7? Check out iPhone 7 video formats, how to play 4K video on iPhone 7, save YouTube to iPhone 7. Method 3. Play Movies on iPhone 7 via iPhone Movie Apps Thousands of movie apps for iPhone are built granting a handy way to watch movies on iPhone. Every iPhone owner can directly play, stream or download movies on iPhone 7 via the app when network works. Movie apps are loved for they indeed helps us quick access to desired movie on iPhone 7 but we should face possible errors (such as a sudden down, not working/loading and so on) which may happen to the apps. Apple new iPhone 7 has stereo speakers, which is bound to provide a more superb music listening experience. 3 methods are introduced here to easily handle playing music on iPhone 7/Plus. Step 1: Connect iPhone 7 to computer, and run the jailbreak tool. Step 2: Follow the on-screen instructions to complete the jailbreak process, during which you are required to occasionally unlock your iPhone 7, swipe up from the bottom of iPhone 7's screen and toggle the Airplane Mode. Step 3: When words like "Jailbreak completed" appears on the software, your iPhone 7 should reboot and present Cydia on your iPhone's homescreen. Cydia is an "App Store" for your jailbroken iPhone 7. Step 4: Launch Cydia on your iPhone 7's homescreen and configure it. Once finished, you can download and install the diverse apps and tweaks that Cydia and the jailbreak community offer. What's more, Apple new iPhone 7 is running new iOS 10, which is said to come with some security and privacy improvements. One of hottest rumored new iOS 10 features is Apple will build 'Rootless' security system in it, making it's harder to jailbreak the new operating system. If it's true, then it will give users a safer and securer iOS using experience. Home iPhone 7 Comparison: Compare iPhone 7 to iPhone 6S, Galaxy S7 etc.